Google Docs: Ready for Power Proposal and RFP Response Users? We frequently monitor the progress Google is making with Google Docs. Given the ubiquity of the Google offerings and their web-based approach we wanted to see what’s changed in the last year that may add value to serious proposal writers who need a full-featured word processor. We start with the assumption that Microsoft Office 2016 Desktop is the standard-of-record in terms of features and offer a summary comparison starting from that vantage point. Google Docs is web based. This necessarily requires that content in the form of documents, spreadsheets, performance reporting and other information is stored on their cloud service. Many companies are concerned about recent wholesale breaches in web hosted content repositories. While Google has not been shown (yet) to have suffered any major intrusions this may be a cause for concern among organizations that demand the highest level of security on content and financial data. If safety and data integrity are a priority, then Google Docs may have to take a backseat to the more traditional in-house network implementations of Microsoft Office where the security vulnerabilities are known and can be mitigated. 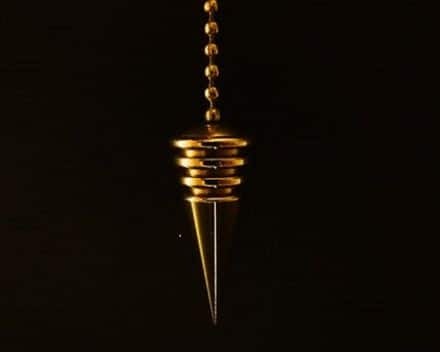 Yet this new style handling falls far short of what is needed forthe development of complete and sophisticated style sheets for meaningful proposal work. Custom ‘named’ styles are not supported. Only the short list of standard styles shown here is allowed. 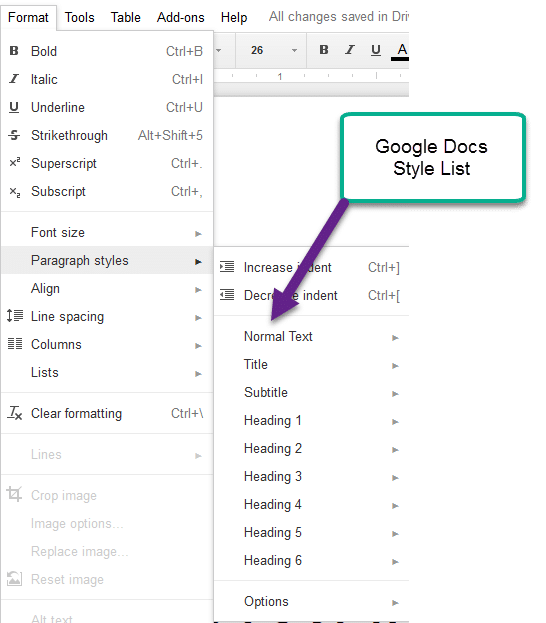 Compared to Word’s comprehensive style handling Google Docs is still in its infancy and will not satisfy organizations who prepare proposals or RFPs with more robust style sheet and branding requirements. 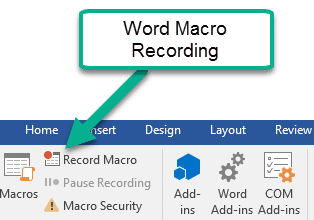 Consider that Word 2016 offers user-defined Macro recording which generates repetitive customized functions automatically and the difference becomes quickly apparent. Like Office, Google provides a wide range of third-party add-ins that can be useful in adding functions to Google Docs. Most of these additions will come with an incremental fee. 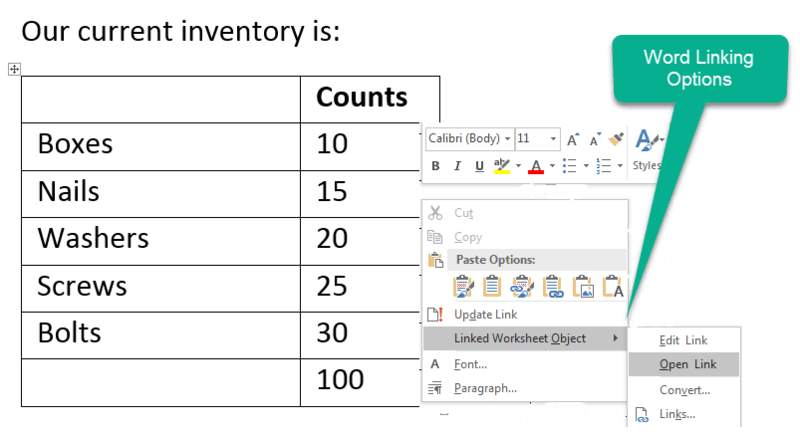 One of the taken-for-granted features in Office is the ability to link the various Office elements to such as documents, spreadsheets and slides seamlessly. For instance, taking an Excel spreadsheet and paste linking it directly in a Word document allowing editing from Word to Excel and vice versa. The loss of this underlying connectivity among objects may present challenges for proposal writers who depend on multiple office objects in creating sophisticated compound documents. While the gap is certainly closing between the two product offerings there remain a number of areas where Google Docs is not yet able to offer the depth of capabilities needed by professional proposal and RFP writers. For those who are considering switching to Google Docs we suggest developing a checklist of features that are currently used in Microsoft Office to ensure the equivalent features are available in Google Docs. Look for our detailed checklist in an up-coming Expedience Blog Post.